"Transparencies are so versatile! You can find them in shapes small enough for journaling and large enough for full 12X12 scrapbook pages. Whether you make cards or layouts, tags or art journals… you can easily include transparencies into your art. They can be stamped, inked, painted, misted… the sky’s the limit. You can even run them through your printer and die cut them. 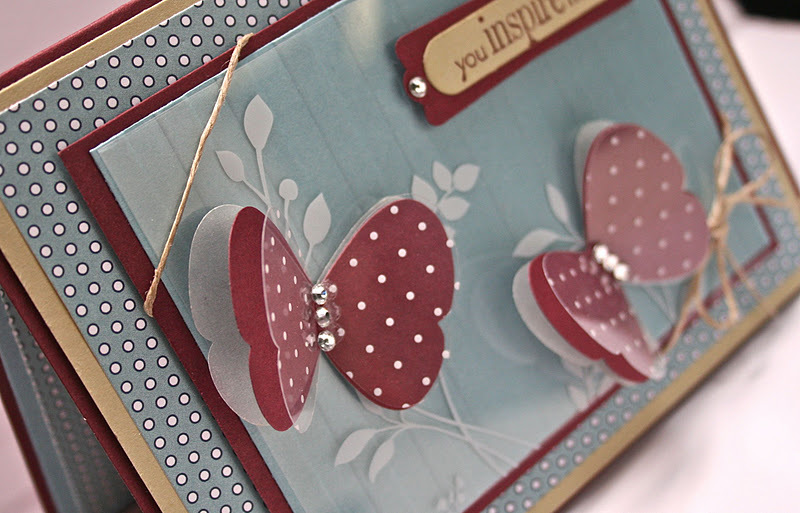 We hope you’ll join us this week showing how creative you can be using transparencies." My transparencies are (ret.) Stampin' Up! Clearly Thanks Printed Window Sheets. I cut and punched them to fit my design. (The CLEAR Window Sheets are available in the current catty, so you can stamp whatever image your heart desires on them.) The biggest challenge with using transparencies is HOW to attach them to your project. I added adhesive behind all of the punched elements and then tied-down the corners with some Hemp Twine. They are secured to the card and no icky adhesive shows through this way. Thanks for stopping by! Please pop by the Our Creative Corner site and see what the rest of the lovely gals on the Design Team have created this week. We sure hope you will join us and play along, too! Wow, this is fabulous Anne Marie! I love those raised wings and how you've popped a red butterfly behind the transparency. I've not seen the pop of color tucked in like that before and it's amazing how much it adds. Love your card 110%! Great card, love the colors and how you used the transparency on the butterflies. Fabulous card! Love that window sheet behind the butterflies. Just noticed you used a window sheet the the butterflies too. Lots to see in this and loads of details to check out. This is just beautiful, Anne Marie! You are so clever....I am always challenged as to what adhesive to use on these too!!! Very, very pretty creation. Oh Anne Marie - this is absolutely stunning! I love the colors and dimension. You used the vellum so creatively. Beautiful work my friend! Beautiful use of these colors! I love the spotted butterflies!! Very VERY nice, AM ... I never think to use transparencies but they certainly add a special touch to a project when you do use them. Thanks for the inspiration. This is just beautiful! I love how you did the butterflies! This is really beautiful! Such a beautiful way to use the window sheets! The punched butterflies are just wonderful! Thanks for playing the challenge at Create with Connie and Mary! I really LOVE your card this week, Anne Marie. I think that color combo is stunning - I need to remember it next time I'm stumped for a color palette. The colors and your patterns are really wonderful - the small dots on the butterflies compliment the larger ones on the DP. I really like the sentiment and the way you mounted it also - makes a great focal point. Super job on the transparencies challenge. This card is a beauty! I would love to see a video on how you did this. TFS! Oh my ... your card is just gorgeous Anne Marie ... l love the background and the super stunning butterflies, and I really love the twine, what a perfect finishing touch!!! Oh I just love with you did with the window sheet. I could never figure out how to use them much. Very clever! Thanks for playing Create with Connie & Mary! Your butterflies are wonderful! I love the layers you used to give them flight! I understand about the staz-on, I've done the same thing. :/ but, your card is simply wonderful! I love how you used the over lay, very beautiful! Anne Marie - I love your layered butterflies and great idea to tie down the corners of the transparency with hemp twine! I just love that you punched the butterflies- it gives them such amazing dimension! Hope you have a wonderful week! That card is so gorgeous! Love the butterflies, colors and technique! What a lovely card! Great use of both challenges! 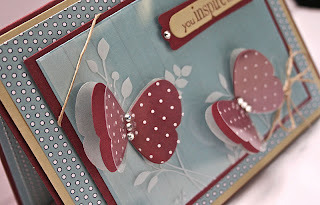 :) I saw your card on Nancy Riley's iPicks! This is fantastic AM - LOVE every little detail. You are talented girl! Thanks for playing at CCMC this week. Wowsy.. another masterpiece.. So beautiful! Love it, LOVE IT!!!!! Oh my...your butterflies are absolutely AWESOME!!! 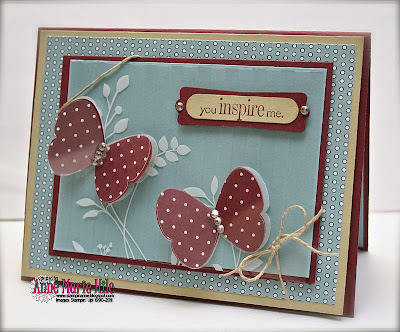 Thanks for joining us this week in the Create with Connie and Mary Thursday Challenge! This is BEAUTIFUL! I love all the textures and different dimensions. 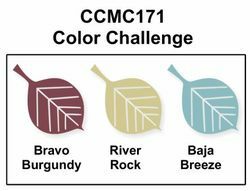 Great job on the Create with Connie & Mary Challenge this week! Wow...love how you used the window sheets to make the butterflies dimensional! Beautiful card! Thanks for playing along with us on Create with Connie and Mary! 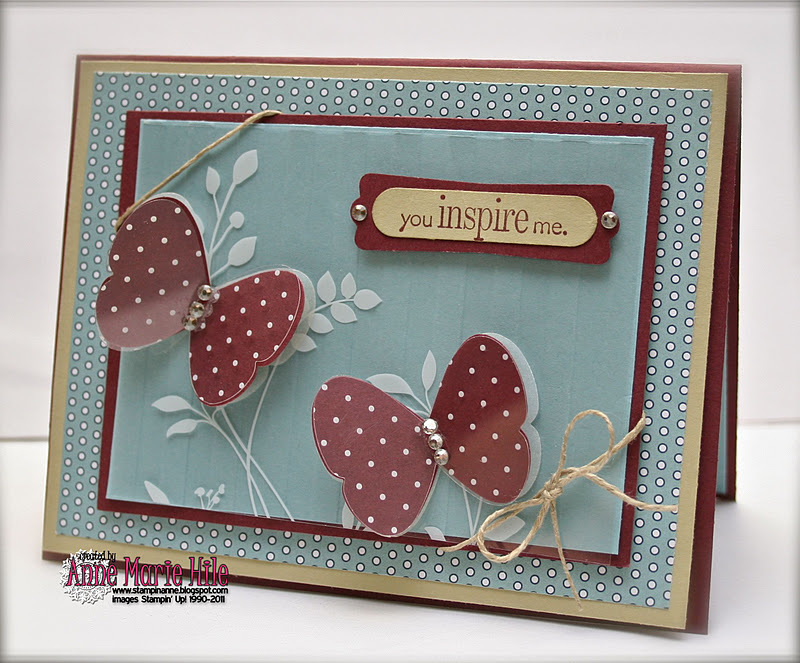 Gorgeous card Anne, love the color combo!! The butterflies are so pretty on the printed window sheet! Hope you are having a great week! OK - not sure how I missed all your postings! Sorry!!! Wow - this is just gorgeous! Love the transparencies! They really make the butterflies come to life!! !